Dr. Shrink's 100% virgin resin, premium Flame Retardant Shrink Wrap contains specialized additives that will extinguish the wrap within 4 seconds of having the source of ignition removed from the material. This makes it an ideal shrink wrap (for scaffolding, shipyards, factories, containments, etc.) where people will be working under the material. 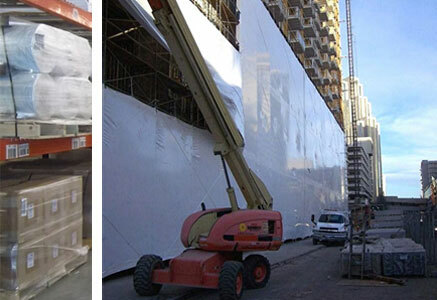 All of our flame retardant shrinkwrap meets, or exceeds, NFPA 701 Specification. Flame retardant shrink wrap is required for some scaffolding jobs and always on government bids where people will be working under the material. WHITE flame retardant shrink wrap sheet size 40' x 60' x 12 mil. 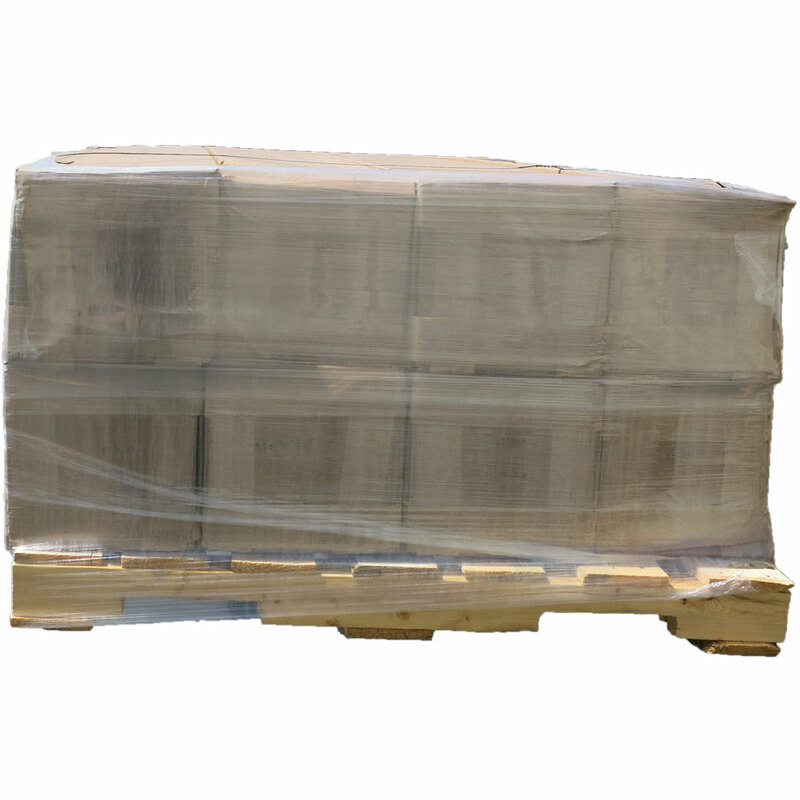 These are center folded shrink wrap rolls (size boxed or bagged: 65" x 12" x 12"). Shipping size for this pallet of shrink wrap: 65" x 48" x 38" high. Shipping weight for this pallet of shrink wrap: approximately 1304 lbs.